Conviviality, customs, and cuisine! 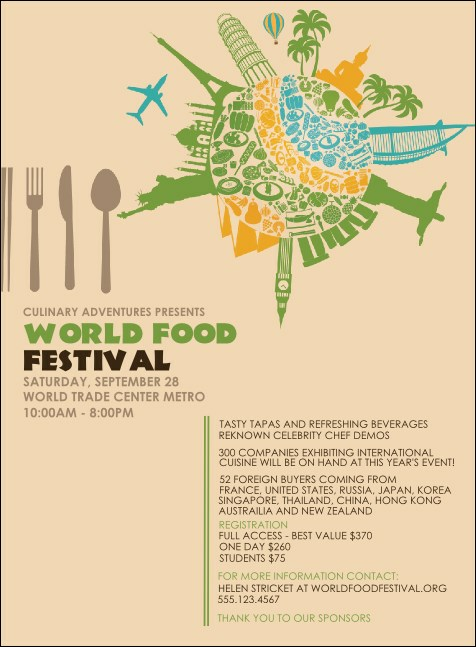 Share the joy of eating internationally with the cultured charm of this Food Festival Invitation, an easy way to invite all your favorite foodies to enjoy the bounty of your upcoming event, and help the uninitiated expand their culinary horizons. Find something to suit every taste at TicketPrinting.com.